With the introduction of EMV chip cards, the ATMs have been upgraded too in order to make use of the upgraded security features of new debit cards. If you have been to an ATM during the past couple of weeks, you might have noticed that something has changed. Some of you might have had your ATM cards fixed in the card slot till the transaction is complete. The reason behind this is the new EMV chip cards which you have heard about in the past few months. 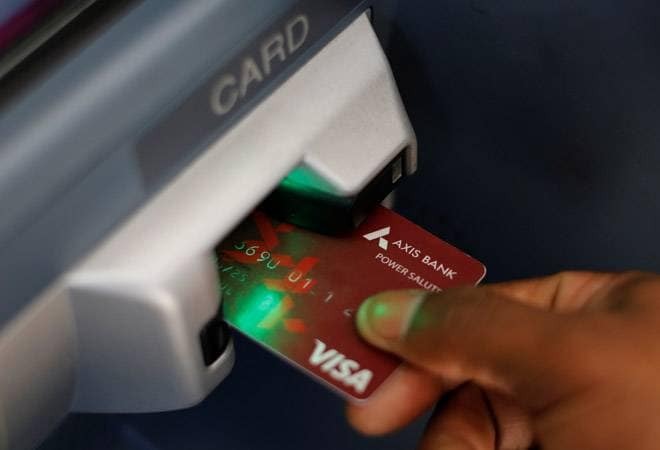 On orders from the Reserve Bank of India, banks had asked their customers to mandatorily upgrade their older magstripe cards to EMV chip cards by December 31, 2018. Debit and credit cards without the EMV chip have stopped working from January 1, 2019. The central bank has favoured EMV chip cards for digital transactions due to the additional security they offer in the form of dynamic authentication which makes the card immune to ATM scams like phishing. With these new cards in operations, ATMs have been upgraded too to utilise the EMV chip on debit cards for more secure transactions. An ATM which has been upgraded now informs the user that it accepts EMV chip cards. On inserting a debit card, the machine secures the card in place till the money is withdrawn. This is to read the chip on it during the course of transaction, similar to card readers at places of business. The ATM latches on to the card so that customer does not remove it, disrupting the transaction. So, if the card is fixed in an ATM which accepts EMV chip cards, do not try to force it out as it may damage the card. Even if the card remains intact, excessive force while the ATM is clamping it in place could damage the EMV chip on it. Most of the public and private sector banks have upgraded their ATMs to accept EMV chip cards. The upgraded ATM usually takes people through the steps of how to use their chip cards. Lenders are also sending messages to inform their customers about this new security feature in the ATMs. 1. Insert your card chip-side first into the designated slot of the ATM. 2. Once the ATM reads your card, it will latch on to it and the light near the card slot will turn red. Do not try to take out your card when the red LED is on. 3. Complete the transaction, after which the LED will turn green. Now you can take out your card. There might be some ATMs which have not been upgraded yet. In this case, insert your ATM card and take it out after the machine reads it, like you used to before. As for the people who are still using magstripe cards, they might find that their card does not work at ATMs or card machines anymore. This means the card has been permanently blocked by the bank, and they need to contact their home branch for a new EMV chip card.